A new US military package will shower billions of dollars on Israel. But not because it supports democracy. If multibillion-dollar weapons deals are any measure, Israel and the US have never been closer. This past week, despite a reported personal rift between President Barack Obama and Israeli Prime Minister Benjamin Netanyahu, the US and Israel signed a pact that contains the largest pledge of military assistance to a single country in US history. The ten-year agreement will provide $3.8 billion of aid yearly to Israel — up from the $3.1 billion awarded to Israel in the countries’ previous decade-long deal. Israel is in a constant state of military action, largely enabled by the US. In just one twenty-four-hour period during negotiations over the new aid package, Israel bombed Gaza and announced new settlements in the West Bank city of Hebron. Each of these acts was at once a show of strength and an outgrowth of US support. 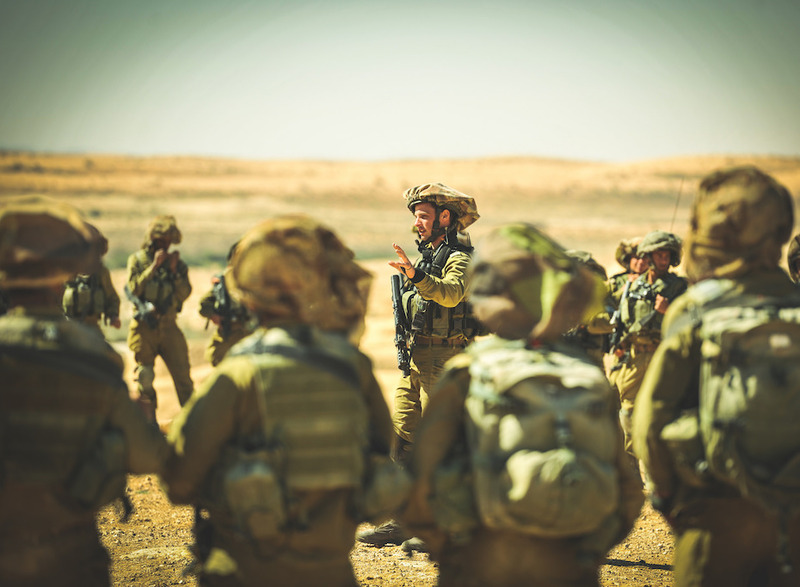 Netanyahu, like many Israeli and US leaders, recognizes that Israel must possess an overwhelming military advantage over its neighbors in order to accomplish its goals. Annexations, occupations, and blockades don’t come free. The US gets something out of the deal as well: Israel’s unparalleled military power allows it to counterbalance other countries and forces hostile to US hegemony in the region. This is nothing new, of course. The US government has long thought it prudent to buttress Israel’s military might to advance its interests in the Middle East. Since 1989, the United States has stored weapons in Israel for potential use in conflicts around the Middle East and North Africa — Lapid’s “forward base for the West.” In addition, the US grants Israel access to these munitions stockpiles when the its military runs out of weapons, as in the 2006 Israel-Lebanon War and the 2014 Gaza assault. Further back, when Egyptian president Gamal Abdel Nasser was leading the Arab Nationalist movement and challenging American and European influence in the region, Israel proved a bulwark, eventually dealing Egypt a crushing military defeat in 1967. A few years later, at the height of the Cold War, the Israelis stole a Soviet radar from Egypt, a major intelligence coup. And in 1970, when the US government was preoccupied with the Vietnam War, it called on Israel to mass forces on the Syrian border to prevent Syrian troops from stopping Jordan’s Black September massacre. Raytheon isn’t the only defense contractor benefiting from the US and Israel’s symbiotic relationship. The US dispenses its aid in the form of vouchers for American defense companies’ weapons — an effective transfer of public money to Raytheon, Boeing, Lockheed Martin, and the like. This enrichment of US weapons companies will only increase with the new deal: the package gradually removes a stipulation under which the Israeli government was allowed to convert 26 percent of the aid to shekels and subsidize its own defense industries. If anything, though, the two countries’ defense sectors are growing closer. Several Israeli defense firms, such as Elbit Systems, have incorporated subsidiaries in the US to qualify for contracts with the US government. But the defense industry giveaways only sweeten the deal. Fundamentally, the glue that binds the US and Israel together is their shared commitment to maintaining the current balance of power in the Middle East. Take Lockheed Martin’s F-35 fighter jet for example. Assured to be the most advanced jet on Earth when it is released, the $100 million aircraft has countries around the world clamoring for it. But in the Middle East, Israel gets first dibs. Speaking at the White House in April 2015, Vice President Joe Biden promised a delivery of the F-35 to Israel, “making Israel the only country in the Middle East to have this fifth-generation aircraft.” Similarly, when the US upgraded Saudi Arabia’s F-15 jets, Israel was pledged an additional twenty F-35s, which allegedly outclass the F-15. Ze’ev Jabotinsky, one of Israel’s founding fathers and Netanyahu’s chief ideological influences, would’ve understood all of this quite well. “Every native population in the world resists colonists,” he wrote in a 1923 essay entitled “The Iron Wall.” “That is what the Arabs in Palestine are doing, and what they will persist in doing as long as there remains a solitary spark of hope.” Thus, he continued, Israel must build up its military to the point where there is no longer any hope for effective armed resistance. Today, this logic can be applied to Israel’s neighbors more generally, many of whom are unwilling to submit to Israel’s designs for their future. Whether it’s reshaping Lebanon, annexing the Golan Heights, or expanding settlements and establishing de facto control over Jerusalem, Israel can only meet its foreign policy goals if it possesses superior means of violence. The new military package was not designed to protect Israeli citizens in their “dangerous neighborhood,” nor is it a signal of the American appreciation for democracy. It serves to enable Israeli aggression, and project US power in the region and the global arms trade.